Incremental hollow shaft encoders are used in drive motors, particularly in the fields of lift construction, crane technology and wind energy. 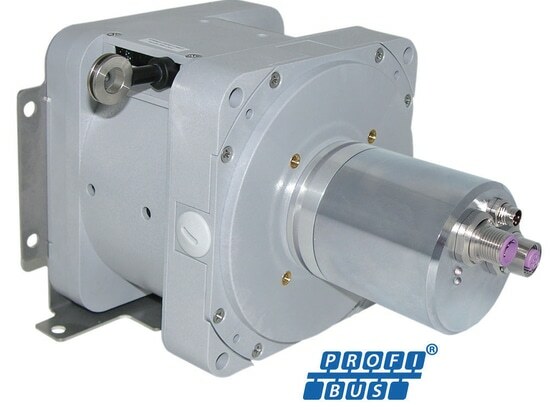 Drive motors that are controlled directly only work optimally at their nominal rotational speed. In order to generate a suitable level of torque as soon as the motor starts running, special switches are used in the motor (such as the Y- Δ transformation). Through the use of converters, the torque of a drive can be used more productively as soon as the drive is started up and over a wider speed range. 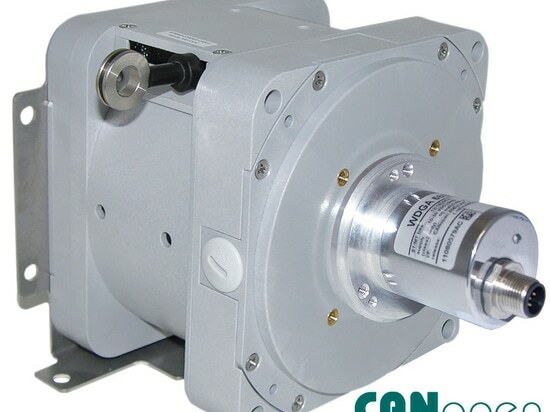 In order to be able to make use of converters with older motors, an incremental encoder is needed to determine the rotational speed. It can usually be mounted on the shaft behind the motor. It can usually be mounted behind the motor, on the shaft. 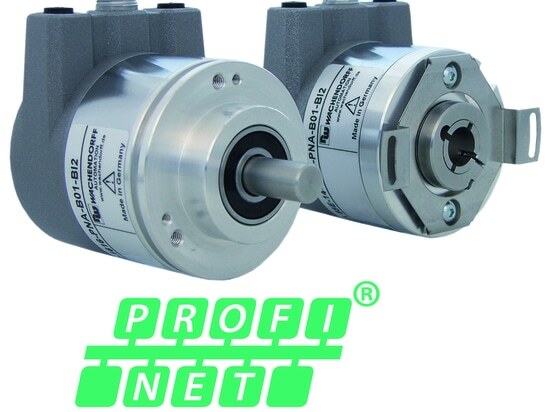 With solid shaft encoders and hollow shaft encoders, a mechanical connection between the encoder and the motor shaft is created using a shaft adapter with the appropriate threaded hole. Depending on the design of the encoder, the shaft adapter is connected to the encoder either directly or via a flexible double loop coupling. Wachendorff mounting kits offer you the highest level of flexibility. 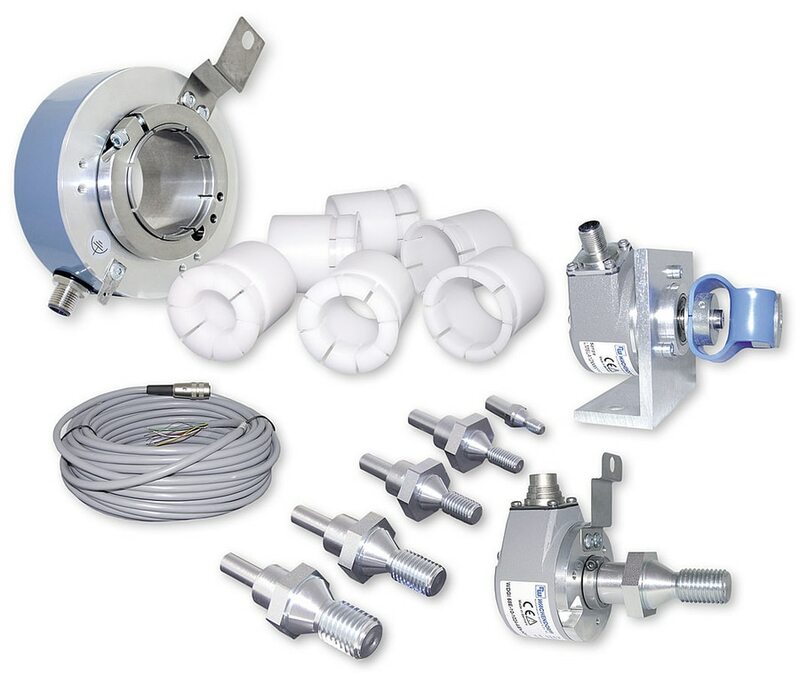 In addition to an encoder, the mounting kit also includes a set of shaft adapters with the main thread diameters and a ready-to-use connection cable. 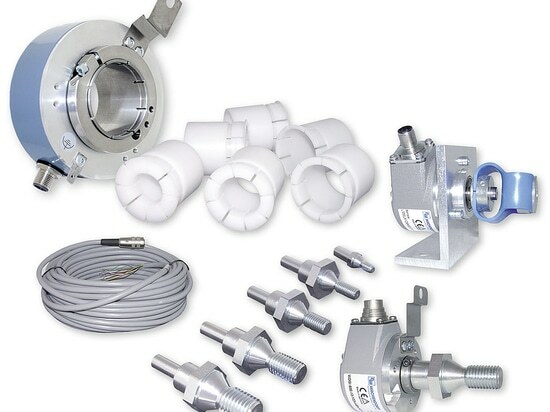 The mounting kit for the solid shaft encoder also includes a mounting angle and a double loop coupling. For the use of hollow shaft encoders (direct mounting on the shaft), a set of adaptor sleeves for shafts of various diameters is provided. Since these adapter sleeves are made of plastic, the degree of protection against shaft current discharges is increased due to its isolating effect. 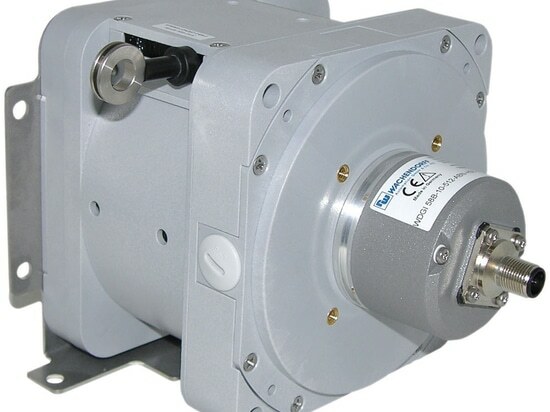 The appropriate sleeve is simply clipped into place in the hollow shaft of the WDG100K, meaning that it cannot be lost, and the encoder is fixed to the motor shaft using the clamping ring. The sealing strip provided is braced against the motor’s housing and thus keeps the encoder’s housing securely in place. With these sets, service and modernisation teams always have the right material to hand. For the most important converter manufacturers, Wachendorff can also pre-configure the cable to the appropriate plug on request.